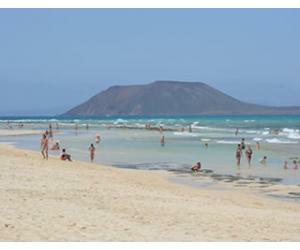 We get this question quite often here at Guide to Canary Islands: what's the weather like in December? How warm will it be? 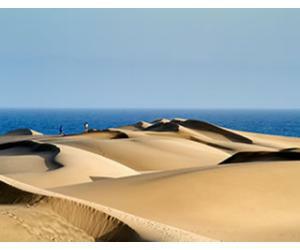 Let's also not forget: which is the warmest Canary Island in winter? Where should I go to get my winter tan? How warm is Tenerife in December? 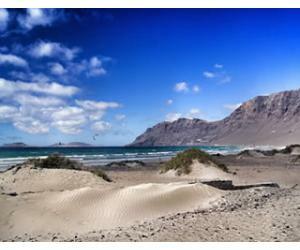 If hot and sunny is what's you're after, then Tenerife is your best bet in December in Europe. With its privileged position (only 4 hours away from the UK and mainland Spain), Tenerife is also known as the Island of The Eternal Spring. 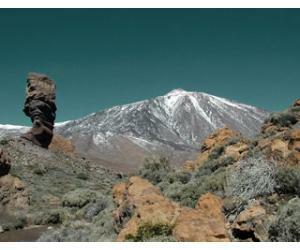 With mount Teide situated centrally on the island, Tenerife has many micro climates and weather can be very different from one coast to the other, depeding on which side of Teide you are. 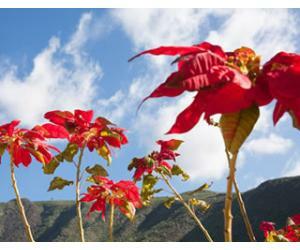 The South of Tenerife is always warmer and sunnier that the North, with less rainy days especially during the winter months. Playa de las Americas and Costa Adeje are the most popular resorts in the south, if you're still wondering where to stay in Tenerife. In December in Tenerife the temperature can go up to high 20s Celsius, but most days will have temperatures ranging between 20 - 25 Celsius. Just enough to spend the day on the beach and even go in for a swim, although the ocean water is considerably cooler during winter compared to the summer months. 1. A sunny day on Playa de las Teresitas is all you need - with its golden imported sand, this beach is lovely and has a great atmosphere. So, who says you can't get your tan even in the north of Tenerife? 2. The beach in Los Gigantes in December - quiet and less crowded than during the summer months, although the sun is shining bright over the giant cliffs. 3. Candelaria - a lovely town on the east coast, close to Santa Cruz de Tenerife, great to explore if you want to see more of the local life. 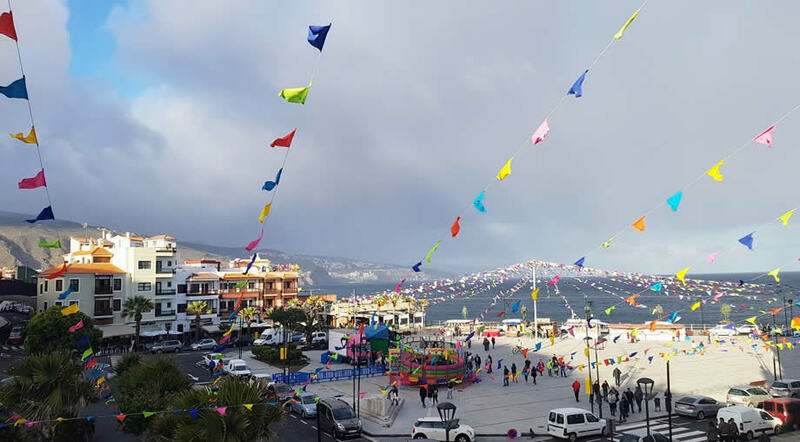 This is the main square, situated right next to the Church and it offers great views over the Atlantic Ocean. 4. 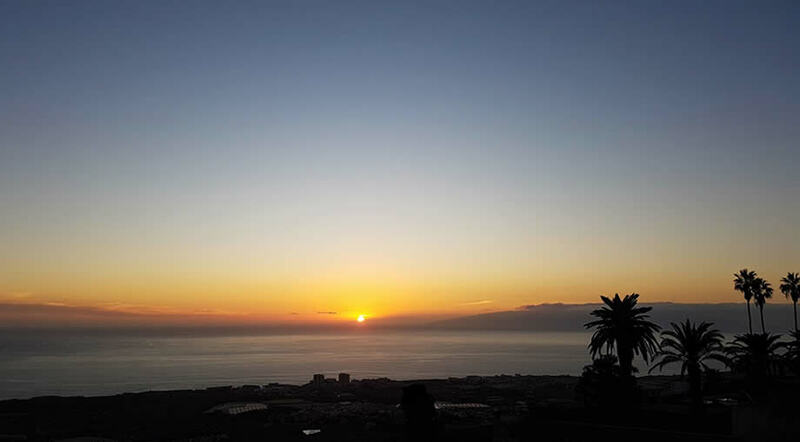 Sunset in Tenerife - gorgeous no matter the season. 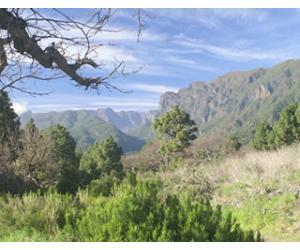 This is a view towards the island of La Gomera. 5. Jungle Park in December - still full of vegetation and colorful flowers. It's a great day out with the kids when you want to take a break from the beach. 6. Last day of the year and in Tenerife the sun is still shining strong. 7. New Year's Eve in Tenerife - people celebrating on the beach in Los Cristianos. A cardigan or a light jacket will suffice on most nights. 8. 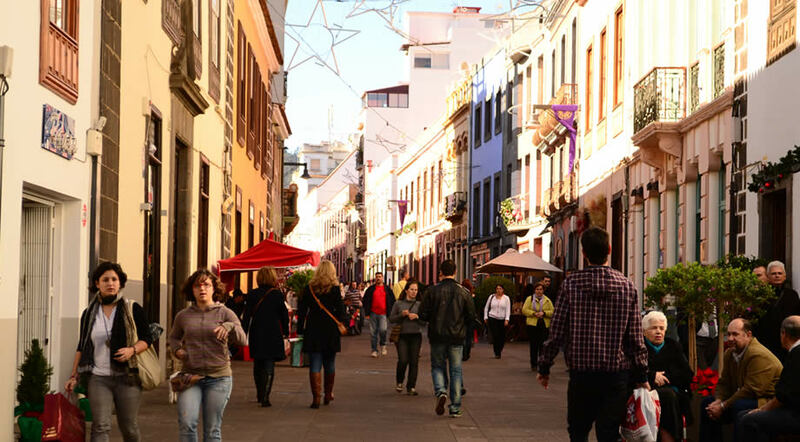 La Laguna had it's first Christmas market in 2016. So this may become a tradition in Tenerife, with more municipalities trying to organise events during the Christmas period. 9. 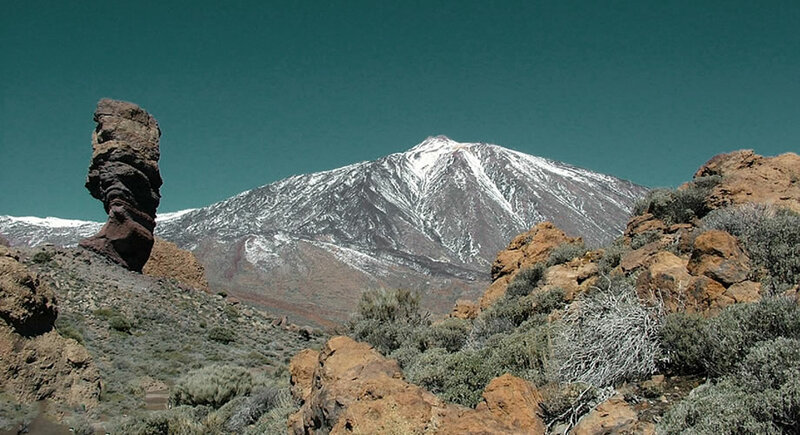 The peak on Mount Teide is often white during winter - it is after all the tallest peak in all of Spain. It's a nice thing to lay on the beach in the south and admire the snowy peak of the Teide Volcano from a distance. What should you pack for a winter break in Tenerife in December? First of all... your bathing suit, of course! In the evenings it can get chilly, even in the south, so a cardigan or a light jacket is a must. Or even both. It would be better if you can bring a raincoat that protects you also from the wind, that can feel cooler in the evening. On most days though, when it's nice and sunny, a T-shirt and shorts will be all you need. For kids you could also buy a wetsuit, that will protect them from the sun, as well as reduce the shock if the water is cold. You can get a wetsuit for yourself also, it's very useful even if you don't practice surfing and nowadays you can find many options in many price ranges, it doesn't have to be top of the top. For more info on the subject you can read our article about what to wear in Tenerife. Does it rain in December in Tenerife? Well, as you can imagine, it's hard to give a definitive answer to this this question, as climate change is a real issue and it affects the entire world. 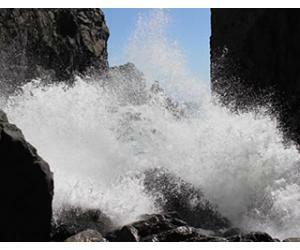 Theoretically, December is the wettest month in Tenerife. But, as we've said previously, the weather in the north can be very different from the south, so you should expect more rainy days in winter if you go to Puerto de la Cruz for example, compared to Los Cristianos, Playa de las Americas, Costa Adeje and the rest of the south. How about calima in December? Calima is a phenomenon where a hot wave of wind and sand arrives to the Canary Islands from the Sahara, and the temperatures rise above their normal rate and the air is filled with sand. Calima can appear during the summer months, as well as during the winter months, but it's hard to predict when it will happen so you just have no way of taking this fact into consideration when booking a holiday to Tenerife ahead of time. The south is usually more affected than the north, so if you have a car hire you can escape the calima by taking day trips and exploring more parts of Tenerife. If you feel the ocean water is too cold to go in, then take into consideration to book a hotel or apartment that as access to a heated swimming pool. Siam Park also has heated water to 24 °C in all their installations, so it's still great for a visit even in December.